Hello all! I just got this book Pop Sculpture; how to create action figures and collectible statues the other day and thought I'd share it with you and my thoughts on it. I had read about in in Amazing Figure Modeller and when I had to go on Amazon to get some of my textbooks, I thought it was a good excuse to throw this in there too. What idiot decided I should to this in oils? Oh.. yeah... Me. Hey kat! Well, I've been trying to improve on my artwerk.. plus when the FBI took my computer, they also absconded with all my digital art stuff. Government is stupid. more people need to stop using it. 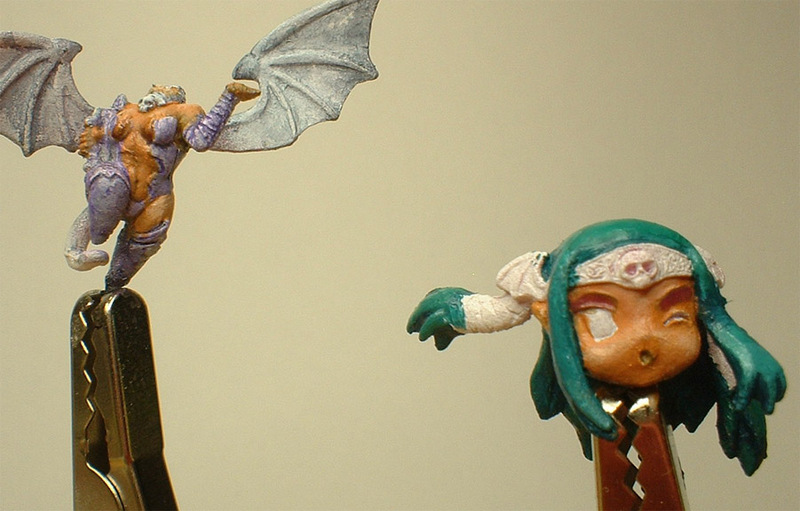 I used GS to make the "skirt"
Okie- Dokie-Loki: So even though this was discussed somewhat tentaviely in other threads, I'm starting the Vandella succubus model from Super Dungeon Explore! You have voted on 1275 out of 244730 minis!